Prices include your guide, private car/minibus, overnight allowance for guide, tax and collection and return to your central London hotel. Prices do not include entrance fees, parking, meals or hotels which we can recommend according to your preferences, from historic inns to deluxe country house hotels. 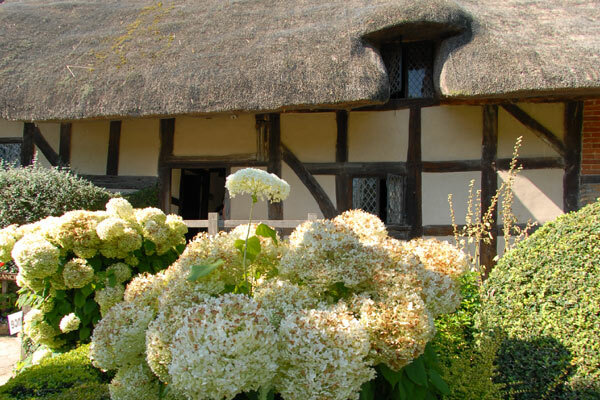 Immortalised by William Shakespeare, the highlight of this tour is Stratford-Upon-Avon, a small Tudor market town with mellowed half-timbered architecture situated along the tree fringed river Avon. Visit Windsor Castle, England's largest royal residence; Eton, the famous school where the boys are still dressed in traditional black tail coats; Oxford with its cloistered colleges and secluded gardens and magnificent Blenheim Palace, birthplace of Sir Winston Churchill. Drive through the Cotswolds, a region of gentle hills, picturesque villages with cottages of local mellowed stone to Stratford-upon-Avon for the night. Visit Warwick Castle, the epitome of a Medieval fortress, Hidcote Manor Gardens, one of the most beautiful in England and Sudeley Castle with royal connections stretching back a thousand years on your way to Bath for your next overnight stay. Bath was developed by the Romans nearly 2000 years ago. See the Roman Baths and Pump Room, splendid Abbey, Robert Adam's beautiful Pulteney Bridge and the Royal Crescent. Return to London via Longleat, an Elizabethan treasure trove house, Stonehenge and the cathedral cities of Salisbury and Winchester.